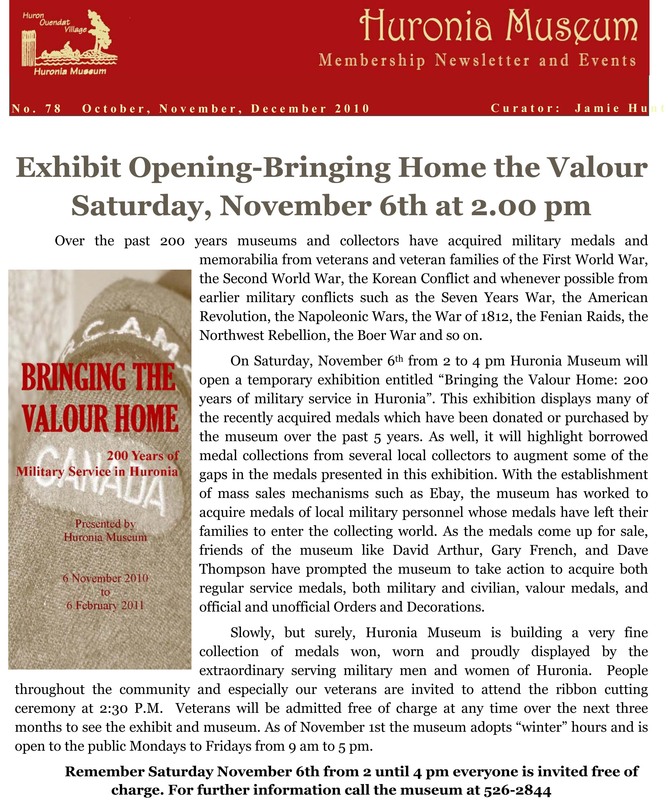 The Huronia Museum’s Fall 2010 newsletter is here! In this edition we learn about or newest exhibit, Bringing Home the Valour: 200 Years of Military Service in Huronia, the 400th anniversary of Étienne-Brûlé coming to the region, as well as info about recent happenings and upcoming events. Feel free to pick up a copy of our newsletter at the museum, or download a digital copy below.